Vladimiro Mujica got his chemistry degree at the Central University in Caracas, Venezuela, and his PhD at Uppsala University in 1985. Thereafter he was a Postdoctoral Fellow at Tel-Aviv University in 1987. Back in Caracas, he was appointed in 1993 as one of the Director for the National Research and Technology Council (CONICIT) in Venezuela. In this capacity he was appointed to be the Chairman of the National Commission for Oil Research overseeing a substantial investment of the Venezuelan oil holding PDVSA and CONICIT in a research and training program for the oil industry and a member of the Presidential Commission for the Reform of the Higher Education System. He was also a member of the Science and Technology Committee of the Organization of American States. He won the Lorenzo Mendoza-Fleury Award in Science in Venezuela in 2001. 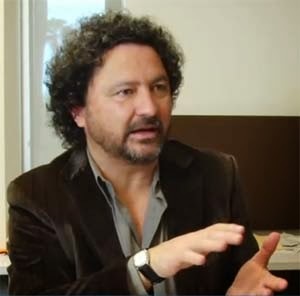 He has been a Visiting Professor to the universities of Sao Paulo, Uppsala, Paris at Orsay, Tel-Aviv, Northwestern, Marseilles, KIAS, Fritz-Haber Institute and NIST, and a Consultant for the Inter American Development Bank for the evaluation of the research system in Peru, and Philip Morris USA. He was a Chemistry Professor in Caracas until 2005 when he joined the Chemistry Department at Northwestern University as a Research Professor. In 2009 he joined the Chemistry and Biochemistry Department at ASU. His areas of expertise include the theory of quantum relaxation and transport phenomena in mesoscopic system, molecular electronics, spintronics and nanophotonics. He has published over 100 peer-reviewed articles, with more than 3000 citations (h-index 24), and has been invited to more than 40 international conferences. Electron transport in molecule-electrode interfaces, electron transfer, nanophotonics, nanomagnetism, solar energy. Video lecture on "The Unexpected Behavior of the Nanoworld"